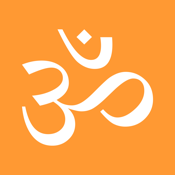 No one could learn Sanskrit without the aid of at least a good set of textbooks and, if possible, a congenial teacher. But Sanskrit is a very complex and demanding language, and in order to master it, one must memorise a great deal of information. This is where Liberation Philology Sanskrit can help. 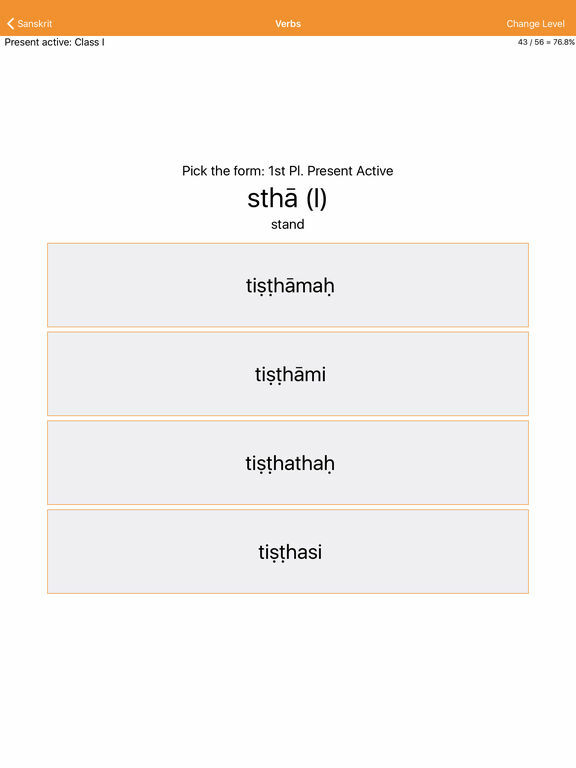 Whenever you have your phone and a free moment, Liberation Philology Sanskrit presents a continuous multiple-choice test on Sanskrit vocabulary and grammar. It immediately confirms or corrects each answer, and reinforces your knowledge through repetition. • Vocabulary: 320 levels, each testing the translation of ten words between Sanskrit and English. Interspersed among these are cumulative levels reviewing what has been learned earlier (giving a total of 360 levels). • Nouns: Tests your ability to parse and decline all classes of Sanskrit nouns. 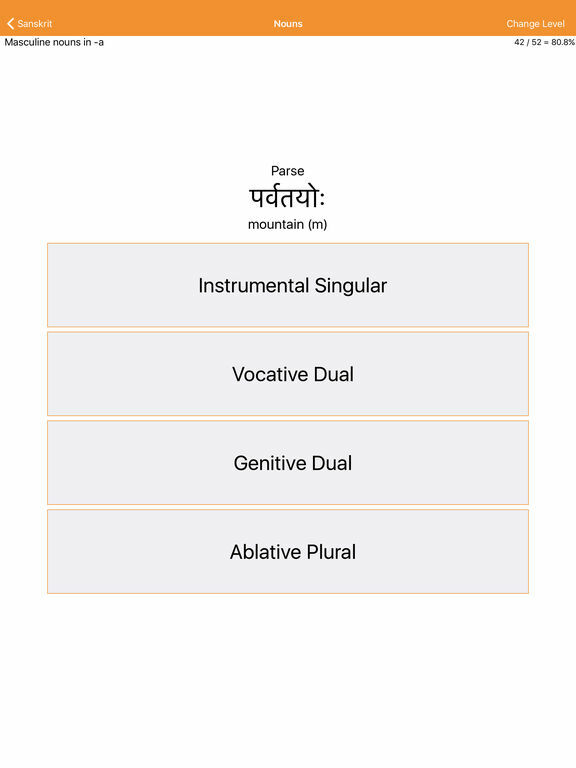 • Verbs: Tests your ability to parse and conjugate a wide range of Sanskrit verbs. All three tests can be set to display Sanskrit words either in Devanagari script or transliterated into the Roman alphabet. A further Reference module allows you to review the vocabulary word-list and the noun and verb paradigms.